Commercial Zone Hex Trash Can. 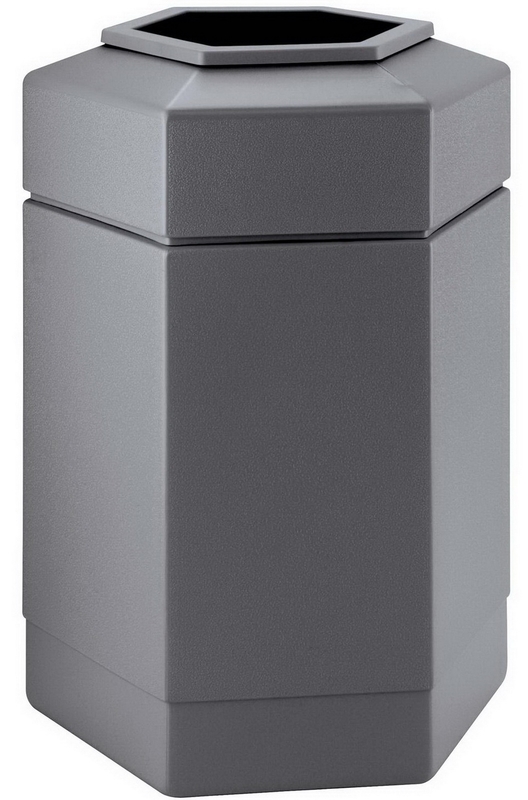 Attractive 30-Gallon Six Sided Garbage Can Waste Container is perfect for all locations. 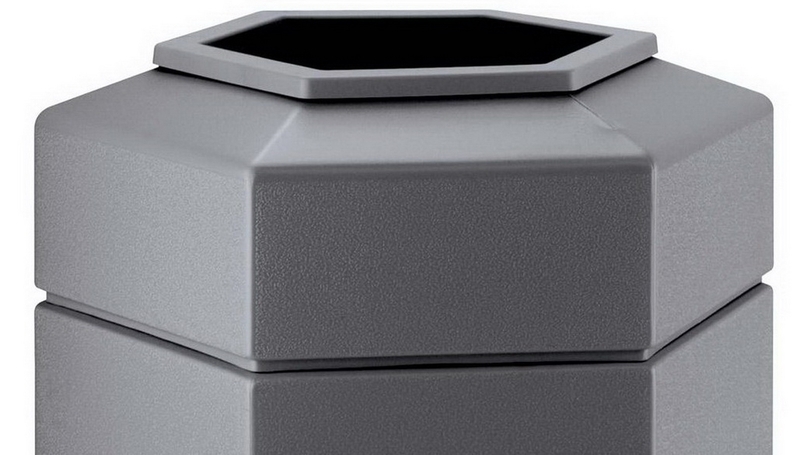 This Large capacity waste container is made for year-round use. It is made from long lasting High Density Polyethylene - hard plastic with gray finish - so perfect for use indoors or outdoors. 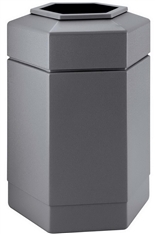 Hexagonal shape complements any facility and creates a clean and attractive look. Site maintenance made easy!